Proceed approximately 1/4 mile on Hammond Street. 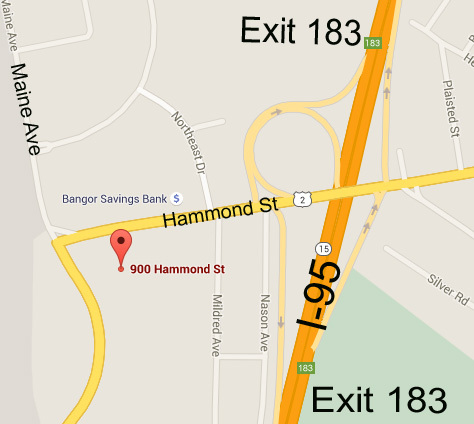 Eastern Maine Eye Associates is located in the large building on the left, corner of Hammond St. & Odlin Rd., in the American Red Cross Building. Watch for the big Blue EMEA sign.